Bottle openers usually are used to open either bottled beer or wine bottles. You can remove a beer bottle cap with the metal arm attached to a wine key corkscrew, though an opener specific for that purpose is usually used. Bottle openers are generally made entirely of metal, and can come as an attachment for something else, such as a key chain or a utility knife. Bottle cap openers use leverage to remove the metal caps from glass bottles. 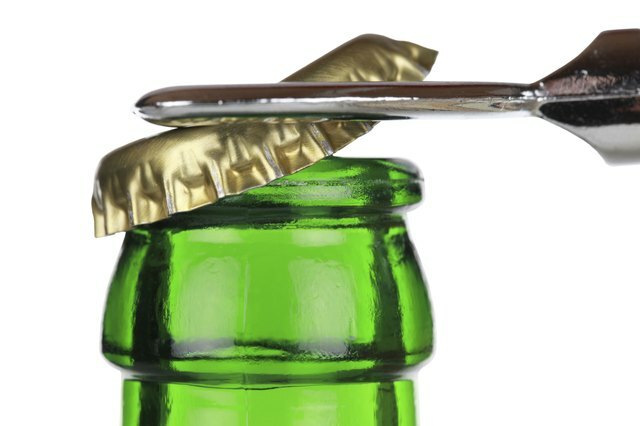 All bottle cap openers have a space in which to fit part of the mouth of the bottle, and an edge that will grasp onto the corrugated lip at the bottom of a metal cap. Holding the bottle firmly with one hand, position the edge of the opener against the corrugated edge of the cap. The opening should cover most of the mouth of the bottle. Pull the metal cap away from the bottle and let the cap fall off. 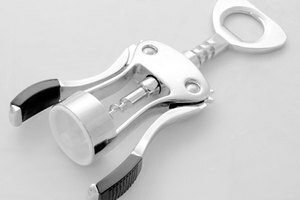 To open with a wine key corkscrew arm, hook the prongs on the shorter metal arm to the bottom of the cap, and pull upward, prying off the cap. 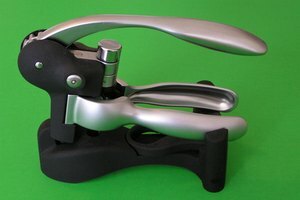 Corkscrews, also known as wine bottle openers, are designed to help you easily remove the cork from a bottle of wine. Unfold the corkscrew so it is perpendicular to the handle — either of the utility knife or of the wine key corkscrew. Twist the corkscrew into the cork by turning the wine key handle, keeping the corkscrew straight. 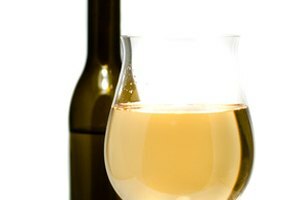 Once your corkscrew is inserted three-quarters of the way into the cork, bring down the notched metal arm, positioning the notch of the shorter arm against the lip of the wine bottle. Holding the arm in place, pull the wine key handle up, creating a fulcrum, which helps pull out the cork with minimal effort. If necessary, repeat using the longer metal arm, notching it against the lip of the bottle to fully remove the cork.